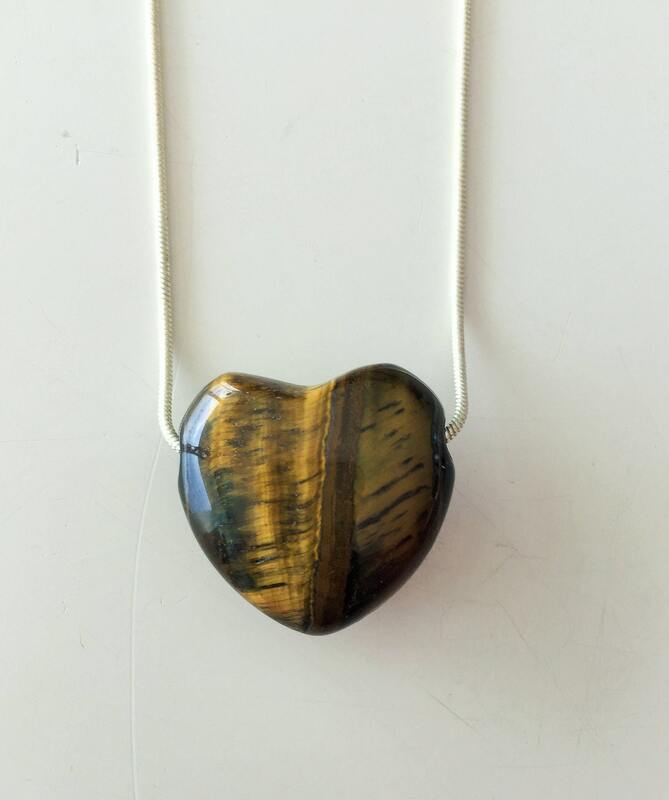 These beautiful Tiger's Eye hearts have lovely bands of yellow-golden color through it. 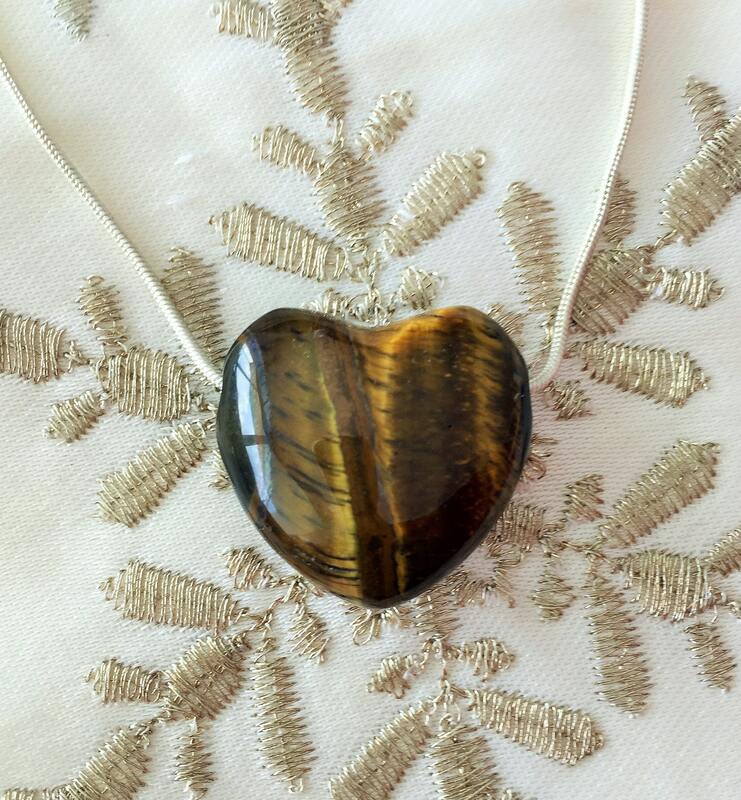 Tiger’s Eye is a solar gemstone of vitality, action and success. 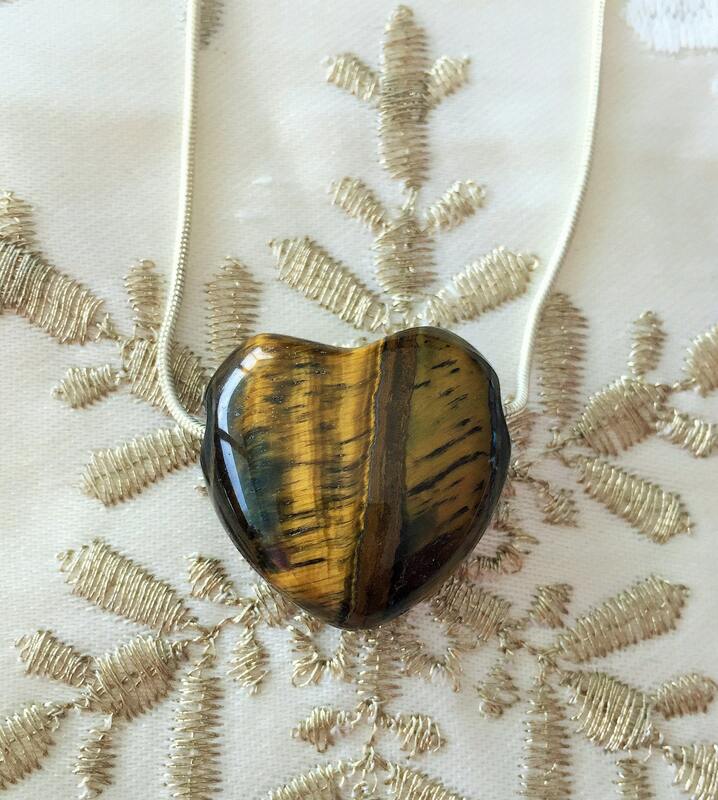 Tiger’s Eye is specifically beneficial for the astrological signs Leo, Capricorn, Aries and Taurus. 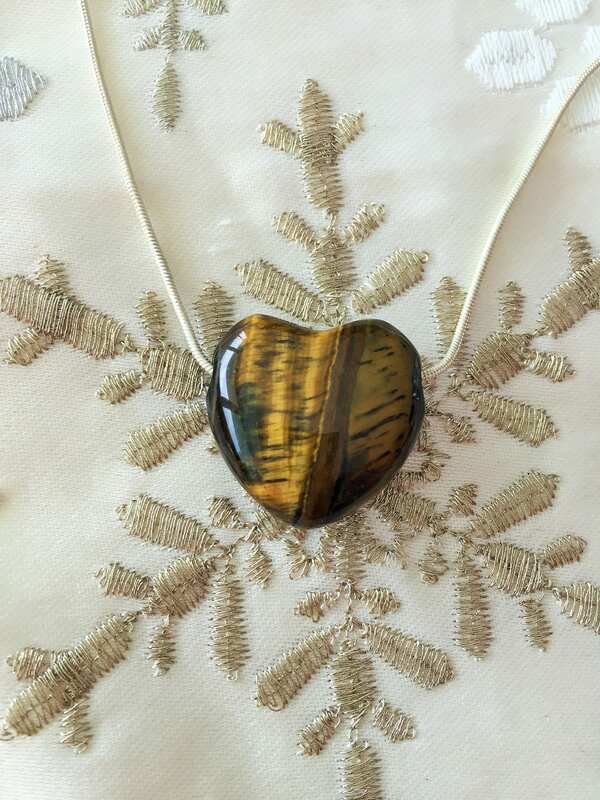 The Heart measures about 1" inch. CHAIN-Your choice of 18- 22 inches in length and 1.5mm thick with a silver lobster claw closure. Arrives in a silver cotton filled gift box. *You will get the a similar heart seen in pictures. Beautiful pendant and exactly what I wanted! 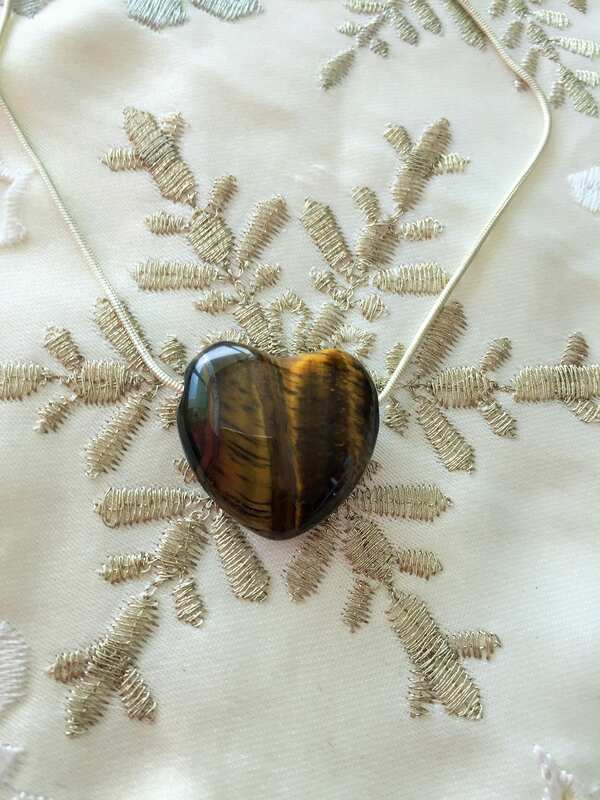 Very cute tigers eye heart. I've been wearing it since I received it. beautiful necklace!! very high quality!